Elaborate plumages and songs in male birds provide classic evidence for Darwinian sexual selection, but the possession of elaborate traits by females is less well understood. Female birdsong has recently been revealed as a taxonomically-widespread trait within the songbirds (oscine Passerines), and female-specific functions of song and plumage ornamentation have been resolved for a growing number of species. If elaborated female traits are adaptive, this raises the question: what is the evolutionary relationship between female song and plumage colour elaboration? Do the two traits trade off against each other, or evolve in concert? Using phylogenetically-controlled comparative analysis, we tested for an evolutionary association between female song and plumage colour elaboration in songbirds (Webb et al. 2016). If there is an evolutionary trade-off between signalling modes, we predicted a negative correlation between acoustic and visual elaboration: species where females sing should have less colourful females on average than species where females do not sing. Alternatively, if song and plumage have similar or overlapping functions and evolve under similar selection pressures, we predicted a positive correlation between female song and female plumage elaboration: species where females sing should have more colourful females on average. We used published data on female song for 1,023 species of songbirds and a novel approach that allows objective comparison of colour elaboration between species and genders. We found strong evidence for a positive co-evolutionary relationship between female colourfulness and female song presence. In species where females sing, females (but not males) are on average more colourful (and hence exhibit reduced dichromatism), compared to species where females do not sing. In simpler terms, female song is more prevalent amongst species with colourful females. A positive relationship between the two traits indicates that female plumage and female song may have evolved together under similar selection pressures and that their respective functions are reinforcing. What might these functions be? Current theory suggests that, in contrast to males, the primary selection operating on females is competition for non-sexual social or ecological resources, such as foraging territories, nest sites and paternal investment. Thus, females may primarily use song and plumage as a multimodal signal of social status or resource-holding potential, to deter rivals. Why use both song and colourful plumage? The co-occurrence of both visual and acoustic traits likely both reinforces the overall message and facilitates effective communication under different signalling scenarios – song for long-distance communication, and plumage for close-range signalling. Now an interesting problem for future research is to determine the social and ecological drivers of the evolutionary pattern we have uncovered. Contributed by Wesley Webb. PhD student in avian acoustics at Massey University, New Zealand. *More details can be found in the associated paper:** Webb et al. 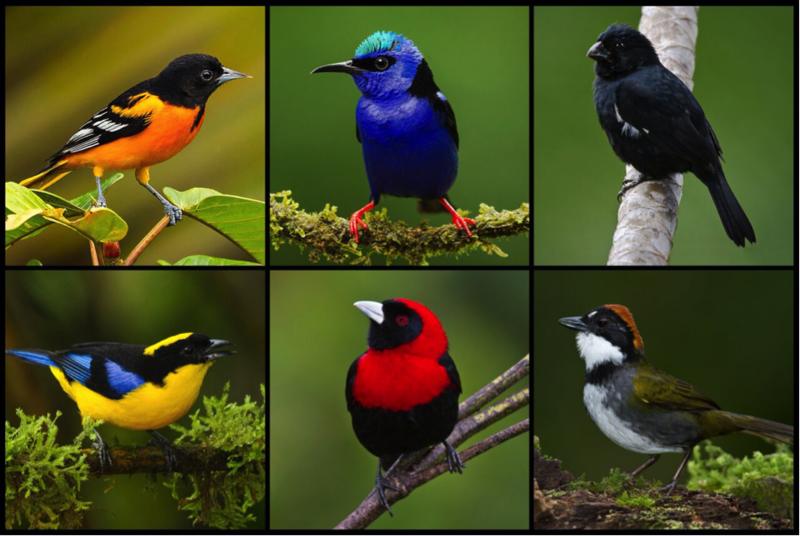 (2016), Female Song Occurs in Songbirds with More Elaborate Female Coloration and Reduced Sexual Dichromatism.